What light signals or visual markings indicate that turns should be made to the right at class G airports? §91.126 Operating on or in the vicinity of an airport in Class G airspace. (a) General. Unless otherwise authorized or required, each person operating an aircraft on or in the vicinity of an airport in a Class G airspace area must comply with the requirements of this section. Are there examples of "approved light signals or visual markings indicating that turns should be made to the right"? If there are no other aircraft present, the pilot should check traffic indicators on the ground and wind indicators to determine which runway and traffic pattern direction to use. 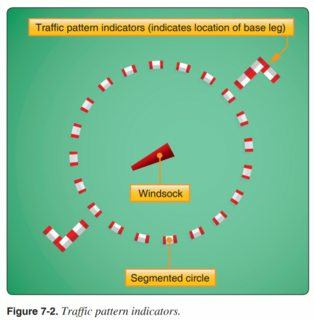 [Figure 7-2] Many airports have L-shaped traffic pattern indicators displayed with a segmented circle adjacent to the runway. 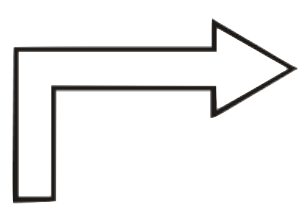 The short member of the L shows the direction in which the traffic pattern turns are made when using the runway parallel to the long member. The pilot should check the indicators from a distance or altitude well away from any other airplanes that may be flying in the traffic pattern. When displayed in a signal area, or horizontally at the end of the runway or strip in use, a right-hand arrow of conspicuous colour (Figure A1-9) indicates that turns are to be made to the right before landing and after take-off. The "L"-shaped marks near the tetrahedron or wind tee — adjoining the "segmented circle" — show the traffic pattern direction. Intended to be viewed from above, not from ground level. The figure above indicates "left traffic" (left turns) when taking off or landing to the north, right traffic when taking off or landing to the south, left traffic when taking off or landing to the east, and right traffic when taking off or landing to the west. Typically we'd see this situation if there were some noise-sensitive area, obstacle, etc southwest of the airport. This indication is a little more confusing than the one in the first diagram. To interpret this indication we can imagine that there is a miniature runway running through the tetrahedron or wind sock. The key point is that the "L" shape we need to pay attention to is the one at the approach end of that imaginary miniature runway, not the departure end, in relation to our planned take-off or landing. 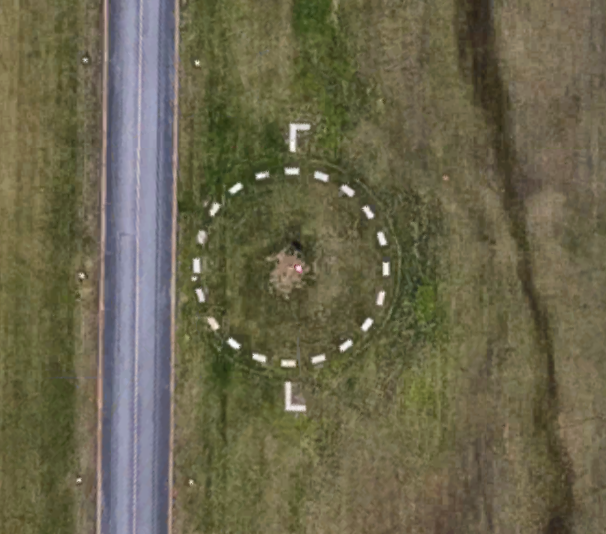 For aircraft taking off or landing to the northeast, "left traffic" is indicated by the "L" shape on the lower right of the circle. For aircraft taking off or landing to the southwest, "left traffic" is indicated by the "L" shape on the upper right of the circle. Not the answer you're looking for? Browse other questions tagged class-g-airspace or ask your own question.